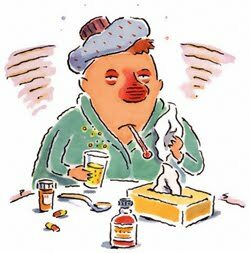 Something which almost everyone gets over the holiday season (apart from a little bit fatter…) is a cold or the flu. At this time of year, bugs and illness seem to be everywhere and unless you lock yourself away in a bunker for a couple of months, it is unlikely that you will be able to avoid catching something completely. With many couples and families planning new year getaways, this can be devastating as the last thing you feel like doing when you have the flu is going away on holiday. For many, cruises require a lot of air travel and often this involves long haul flights. If you have ever had the flu (real flu guys, not man flu), you will know that it is impossible to drag yourself out of bed, nevermind pack all your belongings up and jump on a plane for 15 hours. For this reason, you should always make sure you have good travel insurance. Although the majority of insurers will allow you to cancel your holiday and get a full refund in certain circumstances, the circumstances are usually very strict indeed. For example, they may require you to be critically ill, or to have lost a close relative within days of your holiday before they let you make a claim. Now these circumstances are unlikely to occur for the majority of people, making that whole aspect of the insurance pretty redundent. However, there ARE policies out there which are a lot more lenient and providing you do genuinely feel too ill to go away, they will reimburse you. Generally, it is a good idea to get your insurance independently, and read up on the policy very carefully. If anything is worded in an ambiguous way, ring the company and ask them to confirm what it means. If you paid thousands of pounds for a diamond ring you would get it insured, so why shouldn’t you pay for insurance for a holiday which you paid thousands of pounds for? Another way of protecting yourself when you pay for your cruise, or when paying for anything of any value, is to put the payment on your credit card. I am no advocating getting into debt for a cruise or anything (as understandable as that would be…. ), but you get a certain level of protection when you pay with a credit card which you just don’t get when you pay with cash or by debit card. Always remember when you are buying travel insurance that it is the quality of the insurance that counts. There is no point in buying the cheapest one simply because it’s the cheapest if in reality, they don’t pay out unless you meet a ridiculous list of criteria. It is always worth paying a premium for good, solid travel insurance which will actually perform for you and give you peace of mind.